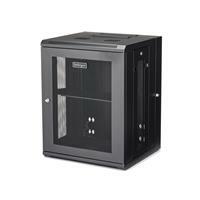 This 15U server or network rack cabinet lets you mount your EIA-310 compliant equipment to the wall, in a secure enclosure that has a hinged rear door for easy access to your equipment. The enclosure features adjustable mounting depth from 2.4 to 16.1 in. 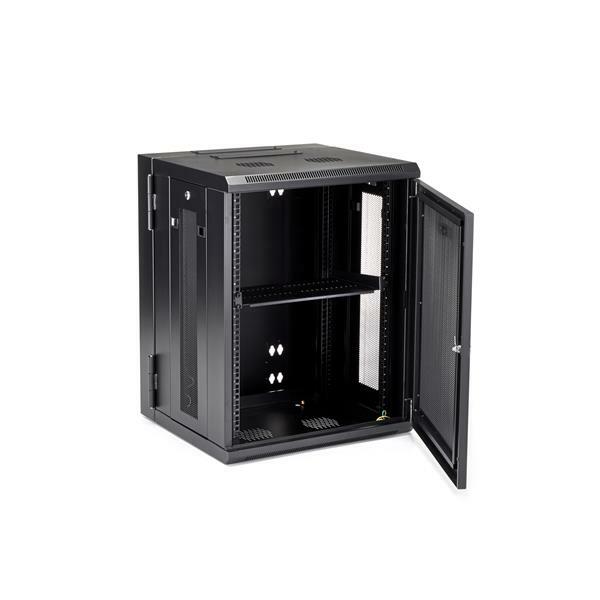 to provide a robust storage solution for your rack-mount equipment. 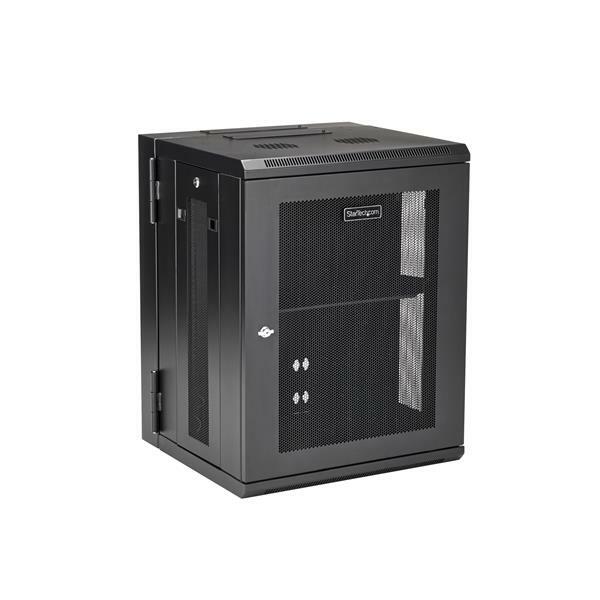 To provide secure stability for your heaviest equipment, this rack offers 4-post mounting, supporting a higher weight capacity per U than 2-post racks and supporting a total load capacity of up to 200 lbs. (90 kg). 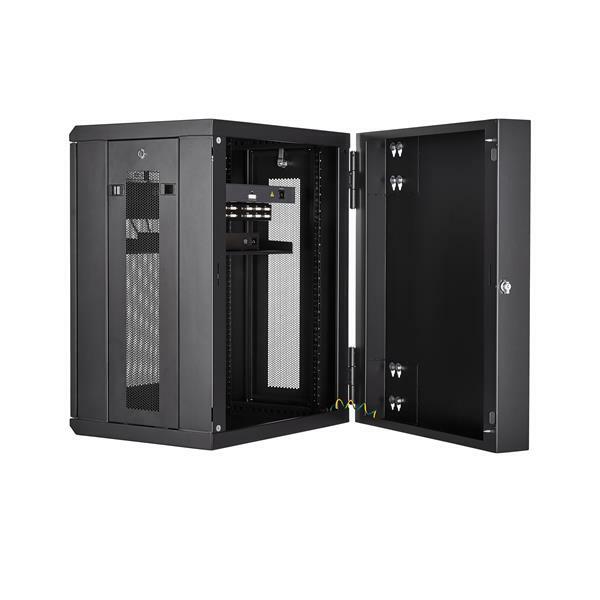 The wall-mount network rack makes it easy to access your equipment and cabling, with a rear hinge that swings the enclosure away from the wall. By flipping the enclosure 180 degrees upon installation, you can reverse the direction of the hinge so that the enclosure can swing open from left or the right, depending upon your preference. 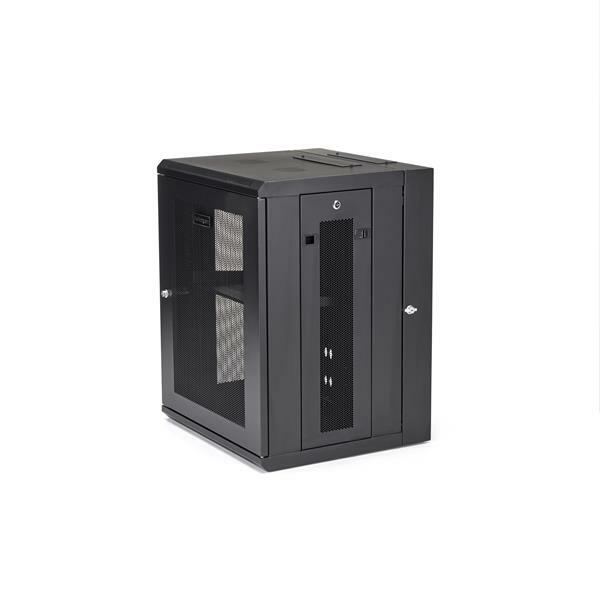 The 15U network cabinet features a removable and reversible front door and removable side panels, each with quick-release mechanisms, so you can easily access your equipment. 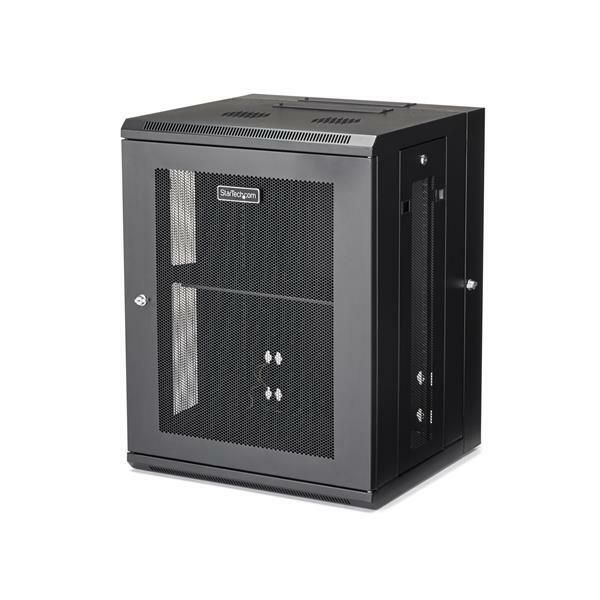 Plus, each door and panel on this rack features an independent lock, ensuring your equipment is secure. For simple and sturdy mounting, the rack’s mounting holes are positioned 16 in. apart, so you can securely attach it to a wall using wall studs. The RK1520WALHM is backed by a StarTech.com 5-year warranty and free lifetime technical support.